Do you love Range Rovers, but your budget tells you to take a step back? If this is the case, finding a repairable Range Rover for sale can be the best option. You don’t need to spend a fortune in buying a brand new car. Vehicle auction sites such as AutoBidMaster give you access to a wide selection of top-of-the-range vehicles at discounted prices. Continue reading to know the best places where you can find repairable cars for sale including damaged range rovers for sale. 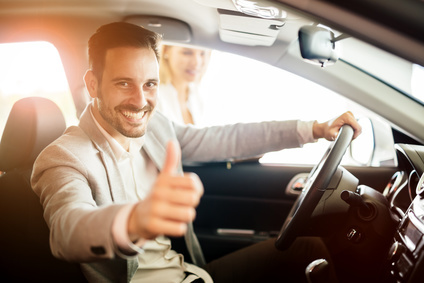 The best option that you can always consider while buying a car is to approach people who want to sell their vehicles. They advertise their vehicle for sale via various marketing collaterals like newspapers, emails and post their Repairable Range Rover for Sale advertisements online as on AutoBidMaster. Approach the owner and negotiate the price to make the best deal and can also inspect the actual condition of the vehicles personally. It is always advisable to take a mechanic along to assess the condition of the vehicle. Car dealers possess the list of options that are available in the nearby areas. That’s why people like to approach them whenever they want to buy a used car. At the same time, the dealers raise the cost of the vehicles to make a good profit. So, it is advisable to check the resale history of the model before you buy. Also, you can use your negotiation skills to negotiate with the dealer. Last but not the least is the “online auto auction”. You can find a long list of Damaged Range Rover for sale online on numerous websites like AutoBidMaster and some more for people who have never heard about this before. It’s a very good option to buy a vehicle from online auto auctions as you can bid as per your requirement and budget. Buying a used range rover online from a Range Rover Auto Auction is more profitable if you don’t want to wait for the car documents, especially the license. With the above-mentioned options, you can definitely make a good selection while buying a used car. Think twice and don’t rush your search to find the best repairable range rover for sale. If you want to check out some of the available Damaged Range Rovers for Sale, AutoBidMaster is the best place to go. For more details on available options and answers to all your questions, feel free to call us at +1 (503) 298-4300 or Message Us.